My name is Barbara, and I’m a Game of Thrones addict. I know I’m not alone. 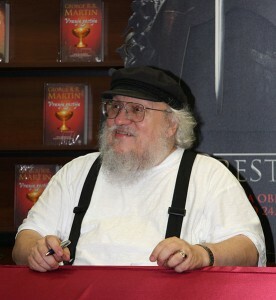 George R. R. Martin has millions in his thrall, captives of the TV series and/or the books on which it is based. For me, it started with the first season. I watched an episode or two, enough to realize that there was no way I was waiting years for the series to play out. So I started on the books; and several thousand pages later, I looked up wearily and realized that three weeks had passed. After withdrawal, I was left with two questions. What makes this series so compelling, and where can I get some? I’m a novelist myself, and I teach writing, so I recognized the basic ingredients. Great characters? Check. High stakes? The highest: life or death, honor or disgrace, the fate of kingdoms. Interesting settings? 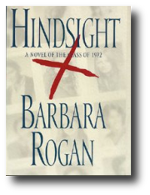 Fascinating and vividly imagined. 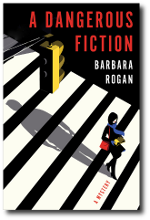 All sterling attributes in a novel, and enough to make any work compelling, but I felt that something more was needed to explain the three-week hole Martin’s books had blasted in my life. And then last week, as I watched the latest episode, it finally dawned on me. The scene was one in which Cersei visits Tyrion in his much diminished quarters to suss out what he plans to tell their father. Tyrian, in turn, wants to know precisely what she’s afraid he’ll say. The dialogue between them, brilliantly written and acted, shows each one trying to elicit information from the other while concealing his/her own intentions and concerns. Each character had a strong agenda, and those agendas were at odds. What I realized at that moment was that the same could be said of nearly all Martin’s scenes. The man seems incapable of framing any scene that is not full of conflict and hidden agendas. 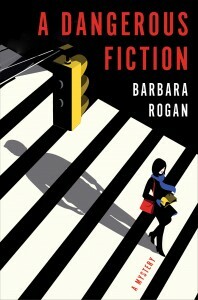 In scene after scene, his characters use manipulation, intimidation, flattery, seduction and every other means of persuasion to impose their will. Sometimes the conflict is on the surface, and other things are going on underneath. Brianna and Jamie Lannister are clearly at odds as she attempts to deliver him safely to Kings Landing in return for hostages and he attempts to escape. That’s in the foreground. In the background, hardly noticed at this stage, is a growing affinity which adds depth to their scenes. Other times, the conflict is hidden behind a veil… but it’s always there, animating the scene. Even when the primary purpose of the scene is to convey necessary information, Martin (and the series’ screenwriters) find ways to bring out the inherent conflict. For example, there is a scene in which Catelyn Stark and her son, Rob discuss the death of her father: not a particularly dynamic passage. But as they make plans to attend the funeral, Caitlin is in chains, and Rob has not forgiven her treachery. They love each other but they are at odds, and that strife bubbles to the surface of the scene. Now, none of this is groundbreaking fictional technique. Good writers strive for maximum tension in their work, and conflict is one of the best ways of producing tension. Better writers know that all their characters, including the secondary ones, have agendas and act on them in one way or another. But only the best writers execute these principles consistently in scene after gripping scene. So this is what I’ve learned from Martin: to seek out those hidden agendas; to frame scenes to take maximum advantage of conflicts between those characters; and to do this not once in a while, but in every scene. How about you? Have you read Game of Thrones, or watched the TV series? What do you take away from it? 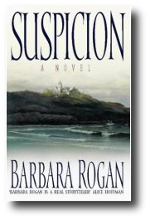 My latest mystery, A Dangerous Fiction, is coming out in July 2013 with Viking Books. It’s available now for preorder in hardcover and e-book, with a large discount on preorders of the hardcover. 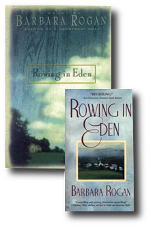 Also, please check out my other titles, newly available as Simon and Schuster e-books: Suspicion, Hindsight, and Rowing in Eden. This entry was posted in Craft, Writing, Writing tips and tagged George R. R. Martin, writing fiction, Writing tips. Bookmark the permalink. ← Are Writers Too Accessible? I have the first book and I’ve read a little bit of it. I’ve watched the show from day one. I’ve struggled a little bit to keep with it, but there’s always at least two story lines I care enough about to keep watching, and one I could care less about. I don’t get anything from it except entertainment. I like it and love a lot of the characters in it, but it’s not the kind of show that makes me think about writing. I can understand why it does for some people though. I felt that way about The Tudors. The novel fractures into dozens of smaller stories every time you touch it (sort of like the goblet in the last Harry Potter) and not all are as compelling as others, I agree. I’ve had the TV series recommended to me by serveral big fans and so when our son turned up with it, we started watching. I fear I can’t share your enthusiasm. After 5 episodes (and even with Ned Stark lying wounded on the ground at the end of #5), I didn’t watch any more. And the reason is that I didn’t care about any of the characters in the story. None of them gained my sympathy. With the exception of Sean Bean as the head of the Stark Family and the imp with his brilliant dialog , they couldn’t hold my interest. That may be because so much conflict seemed artificial to me. I realize this is fantasy and I’m a big fan of Frodo and Harry P, but there you find protagonists to support in their fight against good and evil. All I saw in Game of Thrones was the evil. What is it the French say? Chacun a son gout. I found it all too easy to identify with many of the characters; not sure what that says about me! My favorite is Arya, one of the bravest fictional characters I’ve ever met. Excellent analysis. My question is whether Martin has set a new standard in heroic fiction–the genre of the book i’m currently working on–in terms of character treatment? I’m referring to the fact that characters we first view as villains can later become protagonists and protagonists can be killed off just as easily as a typical story’s “innocent” victims. In Martin’s world good doesn’t necessarily triumph over evil. In fact, those categories seem to have been lost or at best misplaced. Is that a good thing? I’m puzzling over these issues and would love to hear what others think. Peter, I hope others will jump in to discuss, but I agree with you that Martin seems to have changed the rules of the game, which introduces uncertainty and raises the stakes. I was shocked when Ned Stark died; Martin takes our expectations and plays with them to great affect. Which characters started out seeming evil and turned out good? Jaime, maybe? But he’s still quite evil. 1) Ned’s callous execution of a deserter at the beginning. A magnanimous character would have inspired the reader’s/viewer’s sympathy much more effectively when his own head lay on the ‘block’, imo. 3) The imp’s political prowess, as well as his towering intelligence and cunning—he is my very favourite character by a mile thus far. Though I found many of the other sub-currents and sub-plots predictable and some of the characters flintier-thin (Daenerys) or one-dimensional/unexplored (Khal), I must confess that most episodes left me wanting more. I thoroughly relish the Machiavellian intricacies, innuendos and head-games that crowd the series. By and large it is probably impossible to write the perfect script. Evil is more often than not triumphant in real life. Even an optimist would concede that evil is more often triumphant than in Hollywood movie endings. The most important thing about script writing, imo, is keeping the viewers’ attention fixated on the proceedings. Creating an unpredictable story, but steering clear of the ‘idiot plot’… However, we can learn even from an utterly predictable and mind-numbingly tedious show like “The Walking Dead”, where so many characters act like dimwits. Although I think that this show barely qualifies as entertainment, I credit its creators with a very clear insight into the dark side of human nature. If nothing else, this series shows that when the chips are down, it’s every person for him or herself and the boundaries of what we consider cruel or inhumane can and will be stretched quite far. Ok, I’ve got to go save my wife from a giant spider it seems, so will stop here. Hi Ken, thanks for stopping by. I agree with you that there is wonderful Machiavellian skullduggery going on in this series. Interesting the way Martin plays with the characterizations, making characters evil, then showing their human side. I think the only one who’s all evil is Joffrey–he’s pure psychopath. Cersei’s evil too, but there are occasions when she seems pitiable as well. Hope you got the giant spider and your wife is safe.